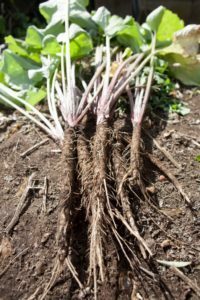 If you have any kind of fields at all (farmer, homesteader, rancher and so on) you’ve probably heard of burdock and wish it would disappear from the planet. There are times when I’ll be driving along a highway, look over and see burdock dominating a field. 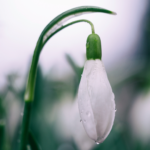 In some places, like British Columbia, it is considered an invasive, and for good reason! 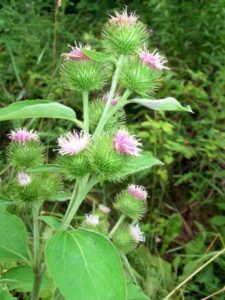 Burdock is a prolific, biennial, spreading plant that can grow in almost any soil but actually prefers less fertile, drier places. Its seed-bearing burrs attach themselves to any passersby including animals and people. So why would we want to cultivate burdock? 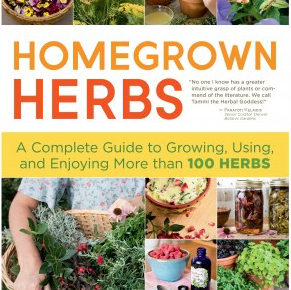 If you can find burdock almost anywhere growing with abandon, why in the world would you grow your own? Here are a few reasons I think you should do it. 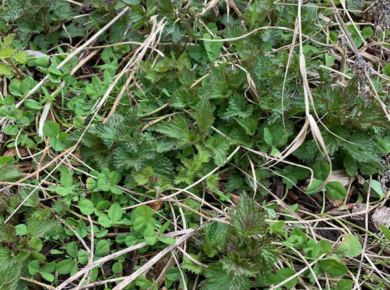 Unless you know a farmer or rancher really well and are sure they are knowledgeable concerning what is applied to their fields (and what’s been applied over the last few years), you really can’t be sure of the quality of the burdock. It is deep rooted and draws from the soil, you are cultivating the root so it’s important to be sure it is of the highest quality. 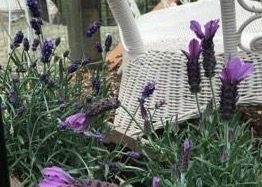 Growing it in your own garden gives you peace of mind. 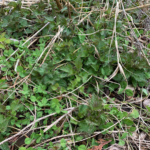 When burdock is growing out of your garden, even if it’s on your own property, it’s a lot harder to make sure to get out there and pull it all in. Inevitably one or two plants get by-passed and make it to the second year where all its energy is going to propagation. 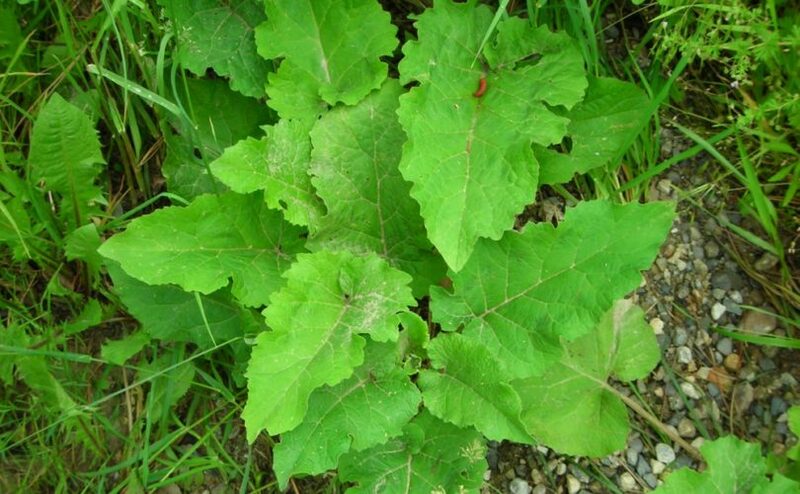 A guaranteed way to ensure your burdock won’t turn invasive is to harvest the root in the fall of the first year. You have much better control when it is growing close to you. It only takes one rogue plant to spread and make many more. 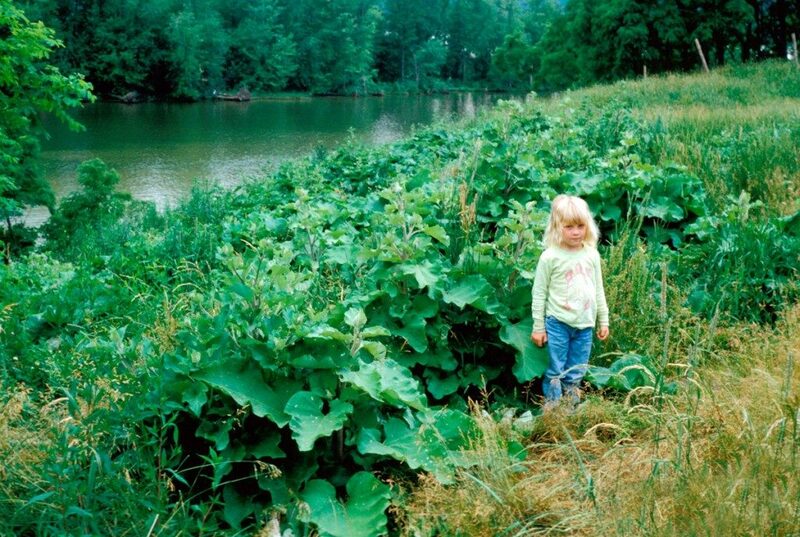 A photo of invasive burdock in British Columbia. Wow!! A wildcrafters dream. Well actually this would take a large team of determined wildcrafters! I go live every Tuesday and Wednesday at 11:00 Pacific time on Facebook. Follow me there or subscribe to my YouTube channel to see the replays.